Applications are invited for a postdoctoral researcher position in molecular biology to join Imperial College London, UK. Applicants should apply before March 12, 2019. We are looking for a motivated individual to take up a Research Assistant position working on an exciting research programme studying the role of Eros, a novel transmembrane protein that we have recently shown plays key roles in several aspects of immune system function both in mouse and human (Thomas et al (2017) Journal of Experimental Medicine 214 (4), 1111-1128 and Thomas et al 2018 Journal of Allergy and Clinical Immunology, in press). Specifically, Eros is essential for the generation of reactive oxygen species and host defence against common infections but its exact mechanism of action and role in all cell types remain to be determined. This post will be based at Imperial College London but the project will also involve collaborating with colleagues at other institutes including the Wellcome Trust Sanger Institute and the Laboratory of Molecular Biology (LMB) as well as international collaborators at Harvard and the National Institutes of Health. The post will involve the use of in vitro and in vivo models to study the function of Eros within immune cells to assess its function in a variety of cell types and species. 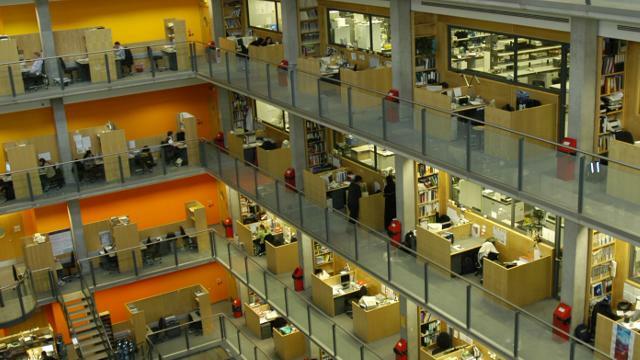 You will be well-supported and will be joining a stimulating and collaborative research environment. Daily duties would include cell culture and extraction/separation of proteins for proteomic studies such as plasma membrane profiling by mass spectrometry, RNA and DNA extraction, genome editing, flow cytometry and setting up / assessing in vivo models. The exact nature of the day-to-day work would vary depending on projects within the laboratory and would involve supporting the work of post-doctoral scientists and PhD students in the laboratory. Additional duties would include contributing to the organisation and day-to-day running of the laboratory as well as presenting at group meetings and contributing to publications. There would be scope foryou to haveyour own specific project. You will have a degree in a relevant subject, together with strong organisational and communication skills, and the ability to work both independently and as part of a team. You will have laboratory experience in cell culture, molecular and/or cellular immunology, cloning and in vivo models of disease. Expertise in proteomics, would also be useful. Additional training will be provided where necessary. This fixed term position is funded by the Wellcome Trust and is available until October 2022 in the first instance, with a start date on or around 1st April 2019. The College believes that the use of animals in research is vital to improve human and animal health and welfare. Animals may only be used in research programmes where their use is shown to be necessary for developing new treatments and making medical advances. Imperial is committed to ensuring that, in cases where this research is deemed essential, all animals in the College's care are treated with full respect, and that all staff involved with this work show due consideration at every level.